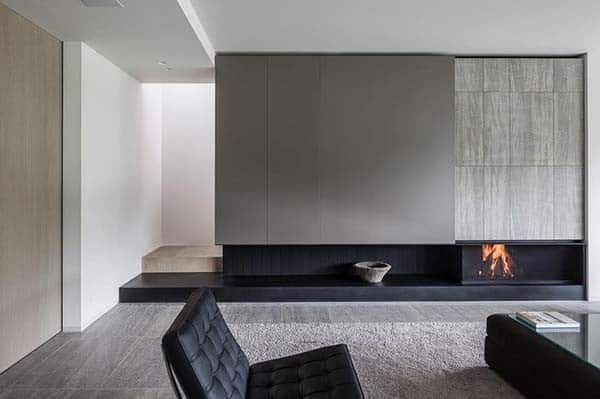 A show-stopping minimalist fireplace design in your living room will have a clean-lined aesthetic that is both visually pleasing and create a contemporary warmth. 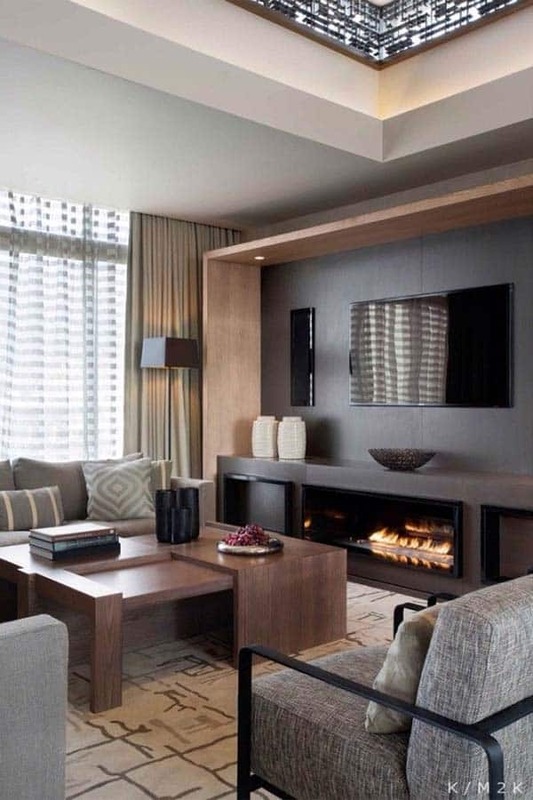 The furnishings that surrounds the fireplace should accent it, but also be inviting and comfortable to encourage friends and guests to sit down and enjoy the warmth and ambiance of a sleek fireplace design. 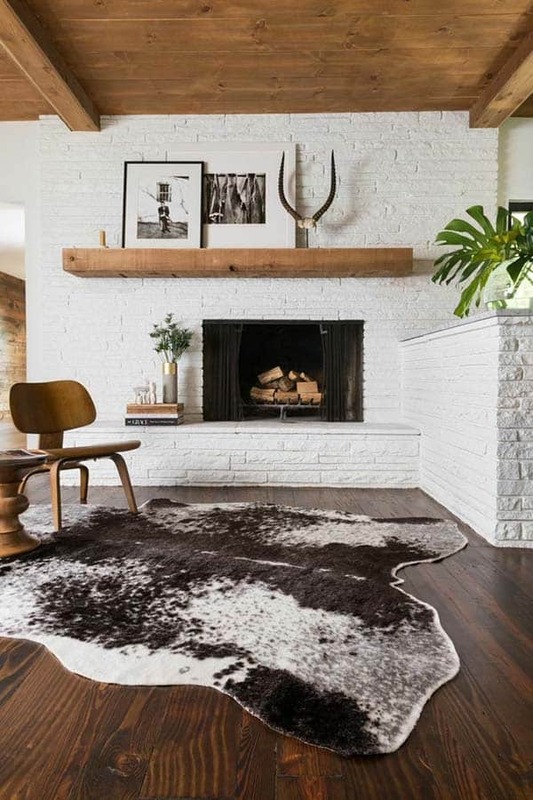 Creating a statement piece in your living room involves selecting the right firebox that will fit in your design scheme and deciding on the intricasies that will complete the looks, such as hearth, surround, etc. 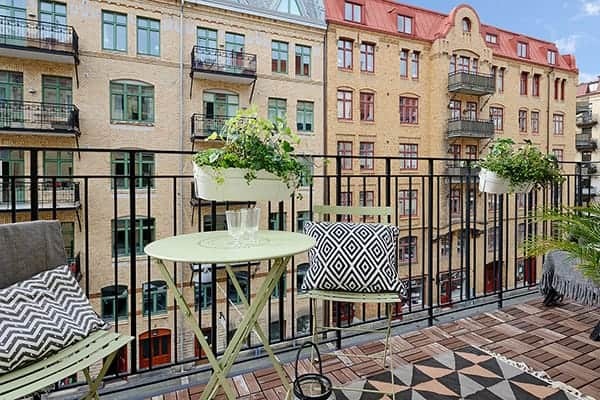 When it comes to fireboxes, the current trend seems to be creating a flawless focal point with fire ribbons, which are flames produced by gas that are broad yet narrow. 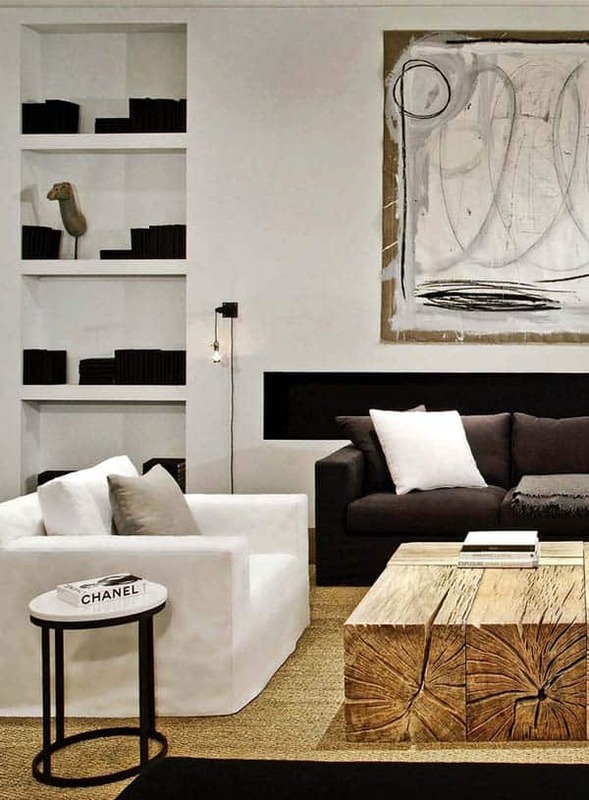 The aesthetic is contemporary but minimalist, replacing faux logs with rocks, sand or glass. The idea is a flickering flame rising out of one of the selected materials to add plenty of warmth and beauty to the space. 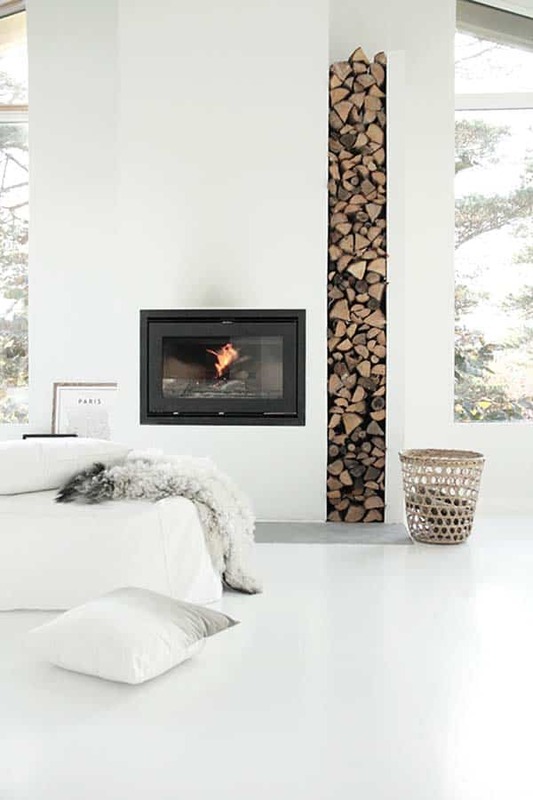 Have a look through our collection of minimalist fireplace designs to be inspired to incorporate one into your living room design scheme. Enjoy the photo tour and be sure to let us know in the comments section below which one is your favorite and why! 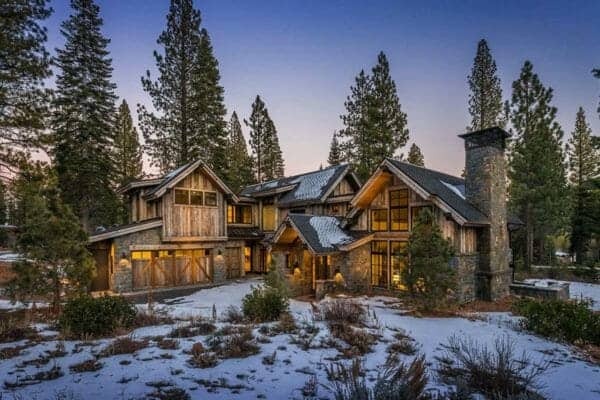 Have a look at some other awesome features here on 1 Kindesign featuring 49 Heart-warming fireplaces in warm and cozy living spaces and 56 Clean and modern showcase fireplace designs. 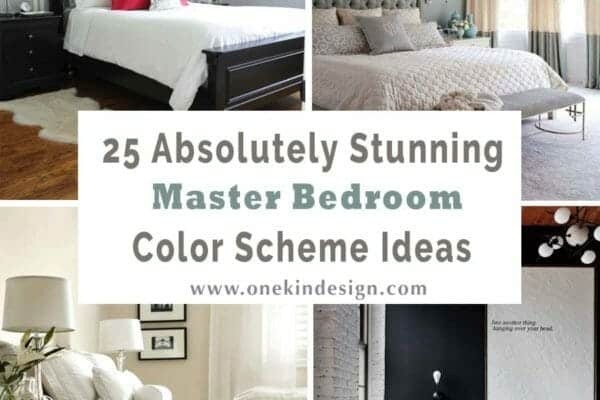 Just because you have an affinity for minimalist design does not mean you can’t have it all in your living room design scheme. This living rooms showcases perfect symmetry with plenty of storage with shelving and lower cabinetry. The natural wood contrasts beautifully with the tile fireplace surround. 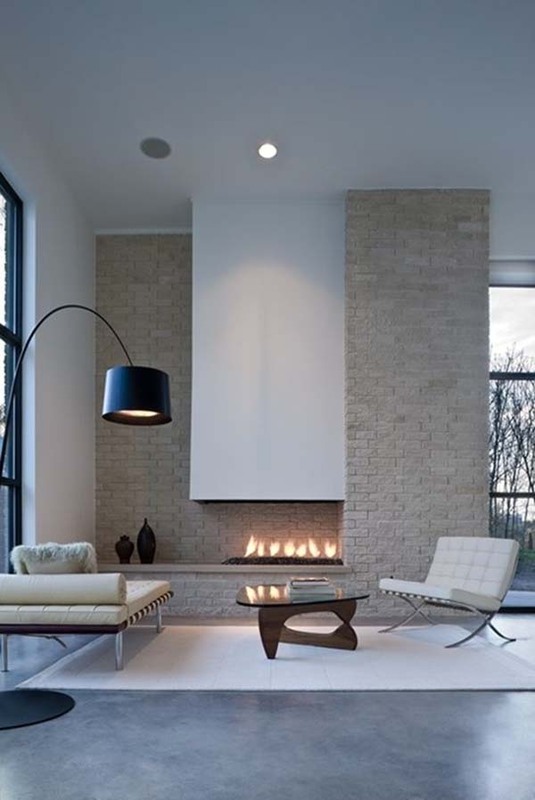 A contemporary living room in Sacramento, California showcases a very minimalist fireplace as a focal point to the clean-lined space. 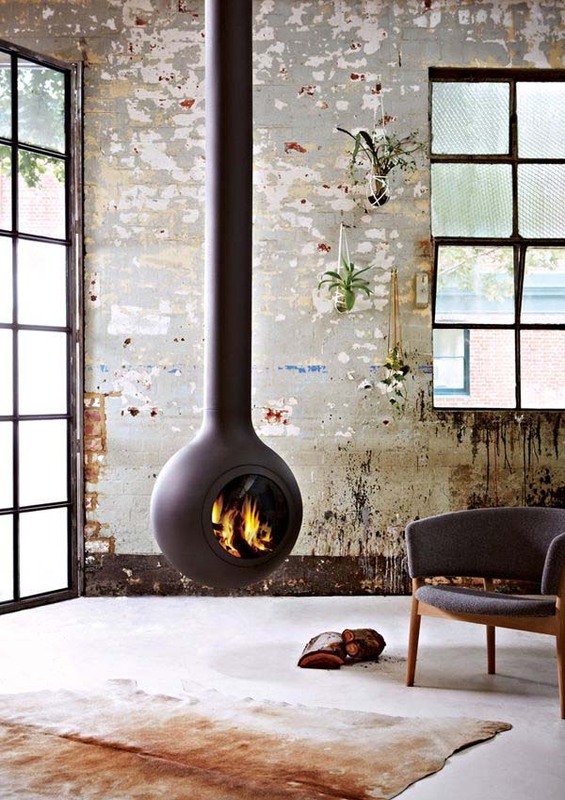 A narrow, see-through firebox displays a fire ribbon (which are gas flames that appear wide but shallow) that adds warmth and an artful appearance. A contemporary loft in SoHo, New York features a living room with a wood-paneled wall that contains a television, fireplace with a wide hearth. 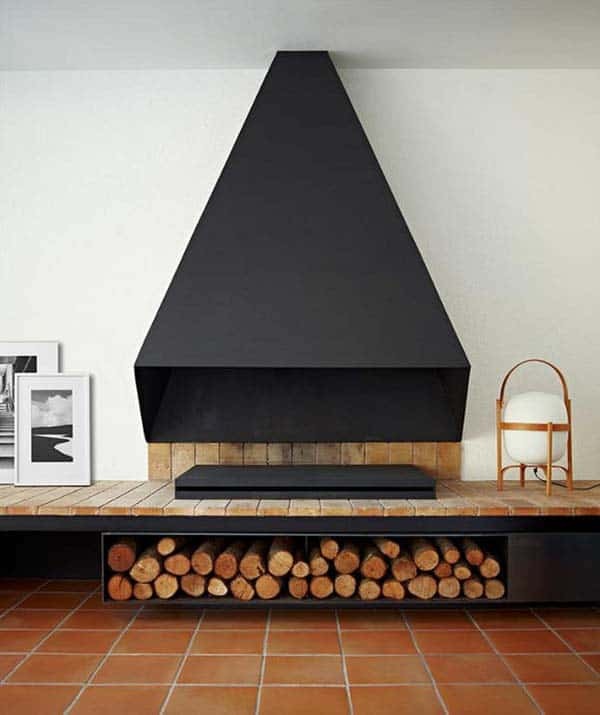 The fireplace is almost 48 inches wide and 16 inches high. The television sits to the side of the flames, which enables it to hang low without worrying about heat damage. A cozy living room in Boston, Massachusetts features a minimalist Scandinavian fireplace with an hearth in a light gray hue. 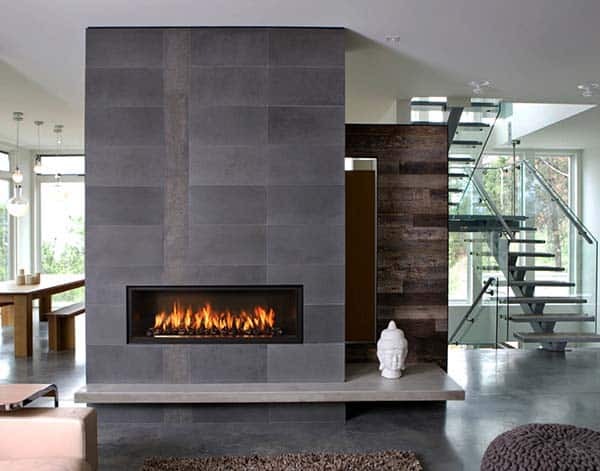 A built-in firewood storage box is adjacent to the fireplace, lined in dark gray stone. 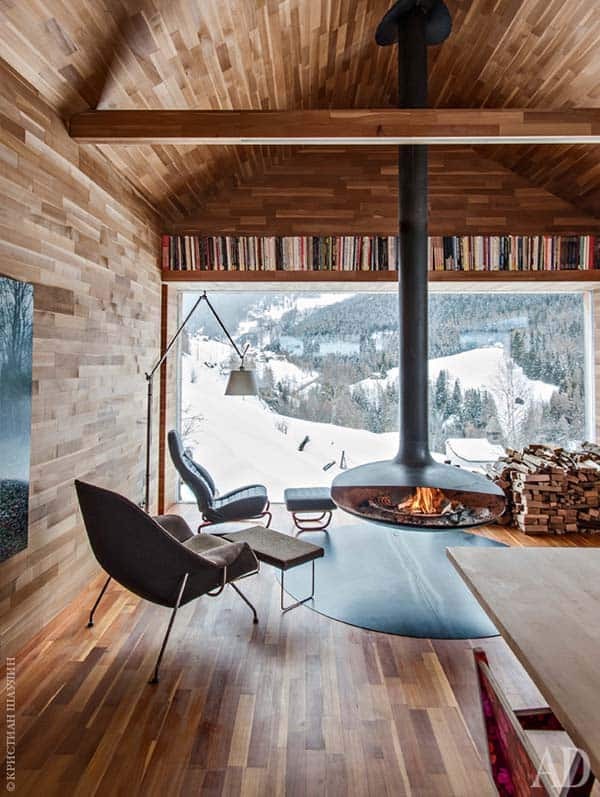 The interiors are comprised of clean lines and accented with pine wood on the ceiling, floor and bookshelves. 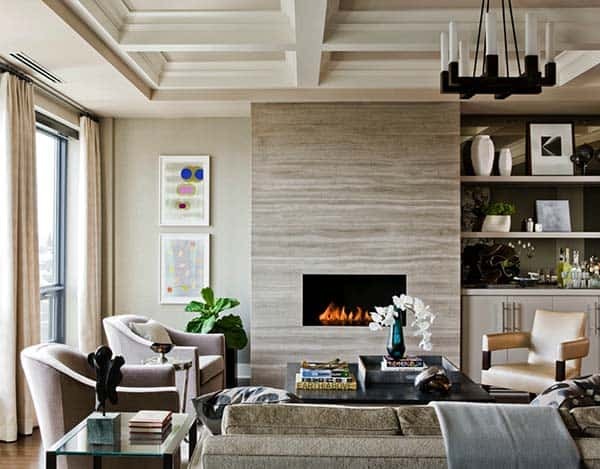 This modern living room in San Francisco, California features a minimal fireplace surround accented by gray wool ottomans. 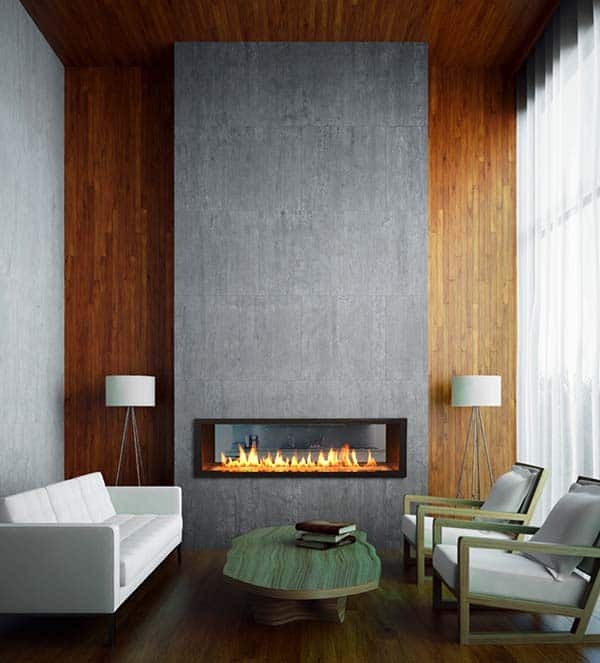 With clean lines and lots of texture, you will feel cozy and warm in front of this fireplace. 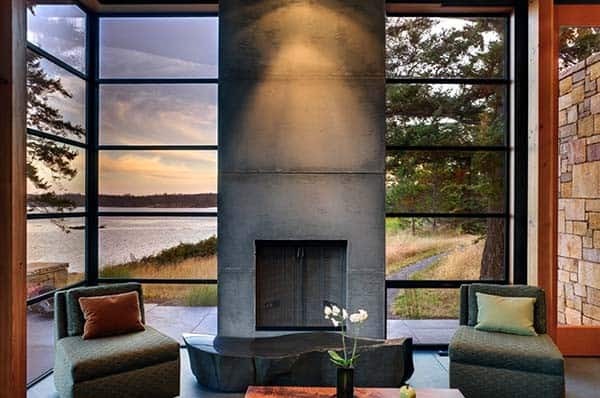 This stunning modern living room in Seattle, Washington features a fireplace surround that travels all the way to the ceiling. 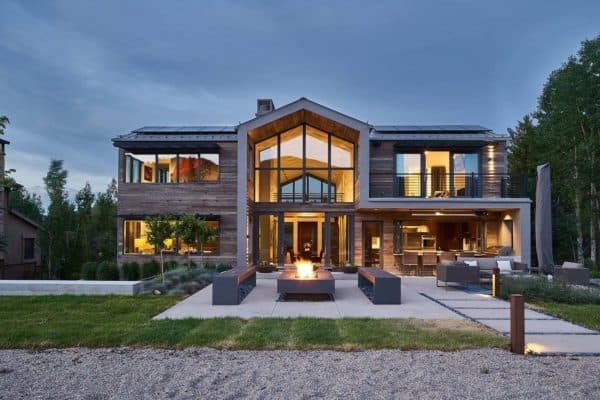 The occupants can enjoy fabulous landscape and water views through expansive windows on either side of the minimalist focal point. 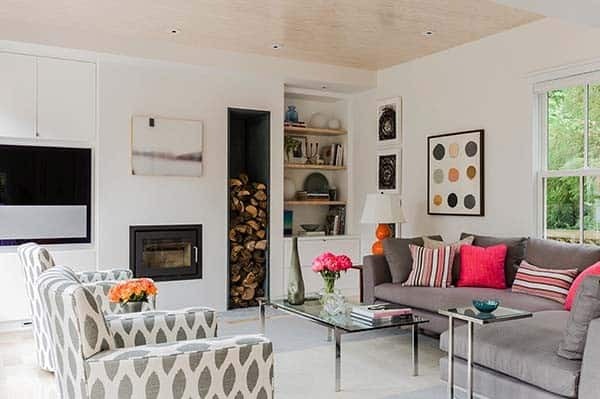 A living room in Boston, Massachusetts showcases a compact firebox surrounded by a neutral hued marble slab by Ann Sacks in Athens Silver Cream. 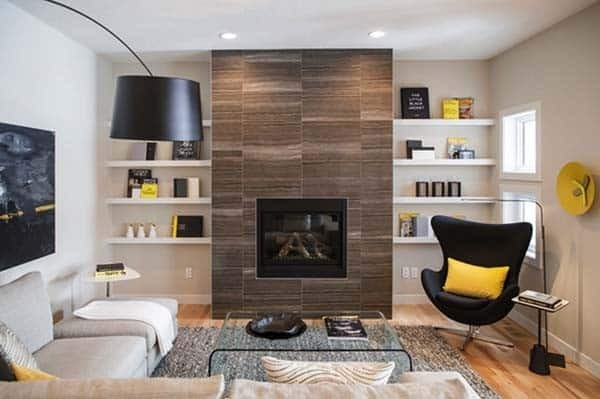 A contemporary living room in Washington, D.C. features a low, minimalist gas fireplace that infuses the space with warmth. 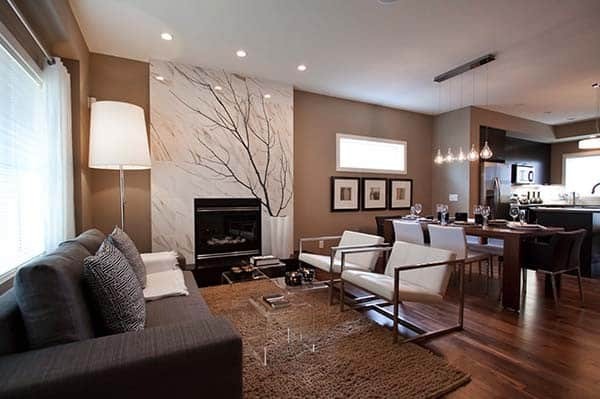 The fireplace is a welcoming focal point of the cozy seating arrangement. 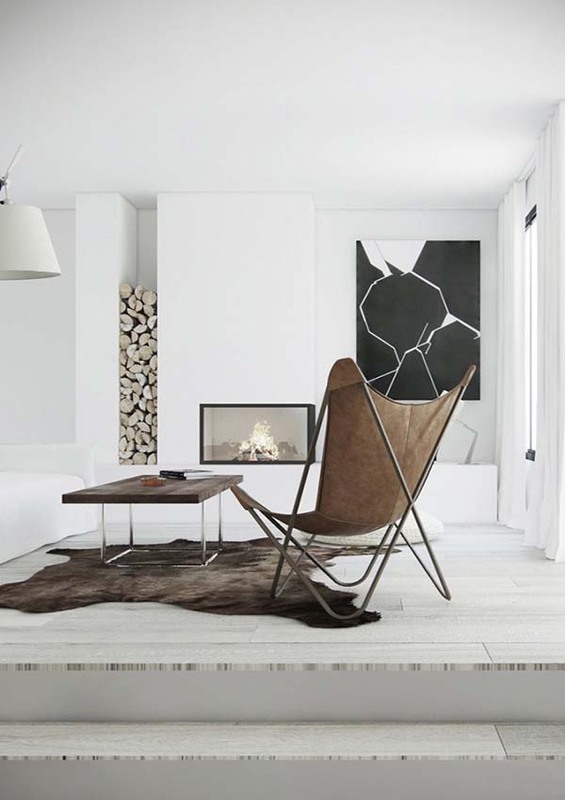 This modern living room in San Francisco, California showcases a black and white color scheme, with the fireplace being the main focal point to the space. 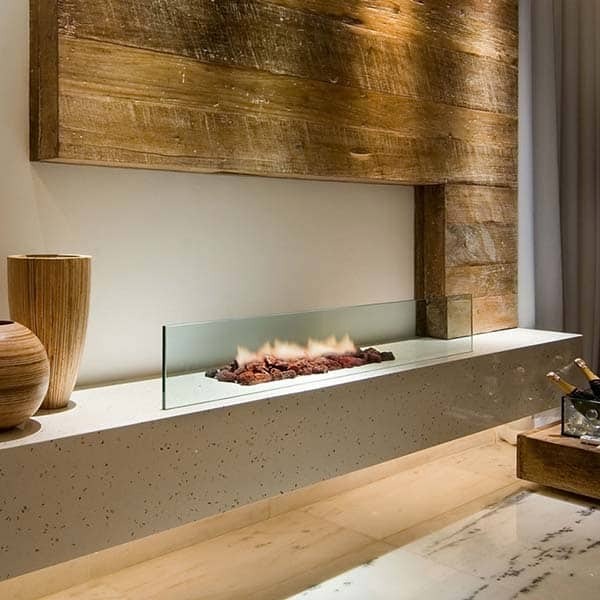 This fireplace will operate with either natural gas or propane and underneath the flames you can use either glass or river rock, depending on your individual preferences.